The Jeep you have been seeing in all those trip videos is finally in the Modified series. Brian’s Jeep JK Wrangler has been part of almost every single trip video on the YouTube channel. 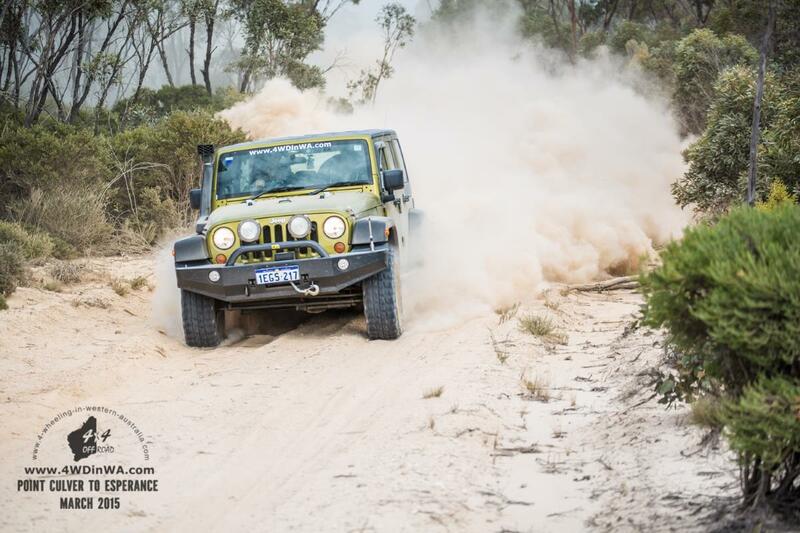 Brian’s Jeep has been through some very challenging tracks and some very harsh terrain and managed so well even with its open differentials. The JK Wrangler has a secret weapon “traction control” which still works in the background when switched off or in low-range and it actually acts like a half diff locker, it’s a bit hard to explain. 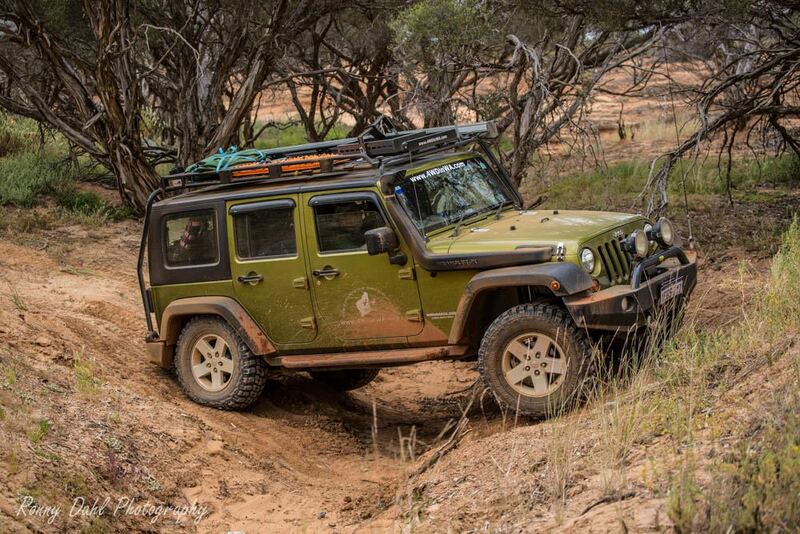 Brian walks us through his Wrangler from bottom to top showing us everything including his DIY mods to the rear. We also talk about the weak points on the Jeep Wrangler JKU and the priority mods to do before other improvements. Accelerator Chip, Extended breathers. Transmission cooler. Upgraded Headlight to Narva LED headlight, 26” Light bar, HID spotties, rear LED work light and revers LED light. HEMA hn5 off-road GPS, TomTom GPS, ICOM-400PRO UHF Radio (80 Channels), Oricom 80 Channel UHF. 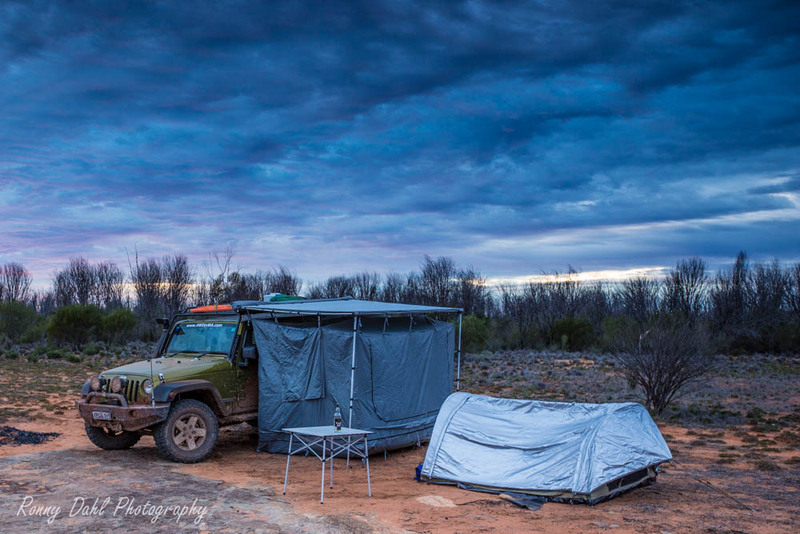 TJM T3 Front winch bar, Rock sliders/sidesteps, Uneek 4x4 Roof rack, JK snorkel, Tracklander Jerry can holder, tow hitch, 2.5 M Oztrail shade awning, Oztrail shade awning tent 2.4m x 2m. Custom made DIY shelving and draws, Uneek 4x4 flip table, 2nd battery and on-board Air Compressor, 40L Waeco CFX Fridge/Freezer, 2 Fire Extinguishers, first aid kit. Every time we go off-road, the Jeep has always made it home again. 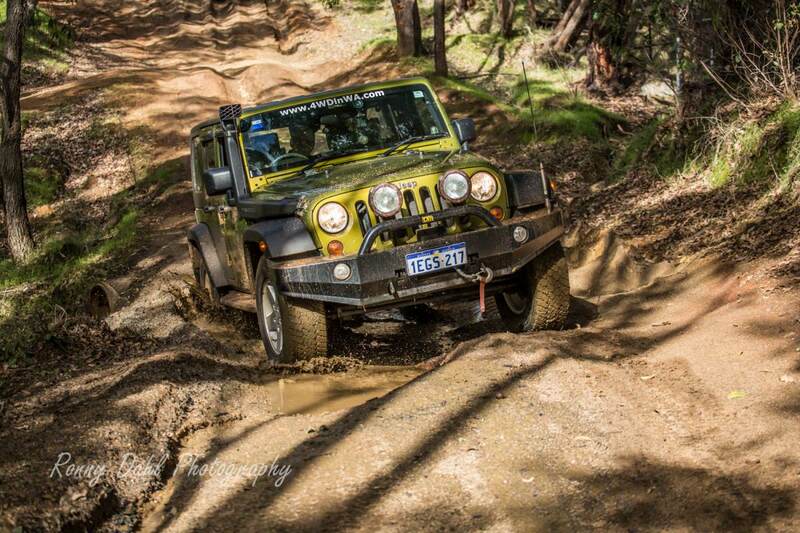 Going down a steep muddy track, with no control over the Jeep near Harvey Dam. 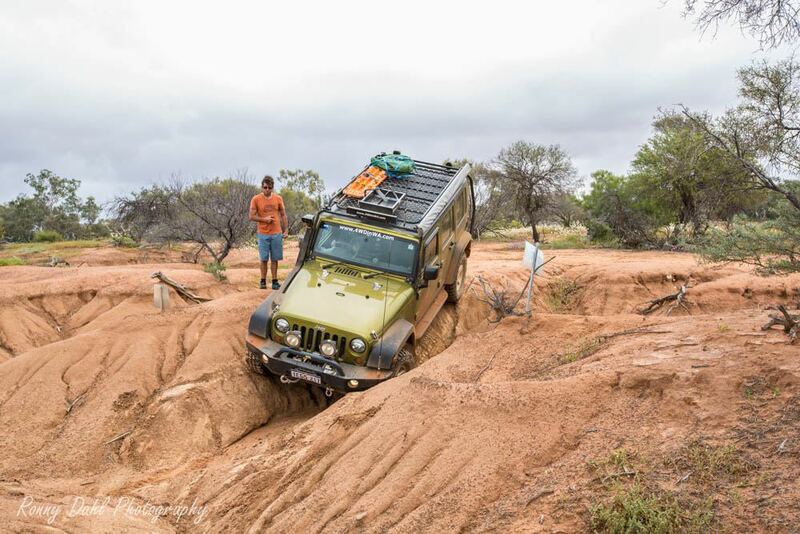 Make sure you can do a self-recovery, get a steel bar on the front with a winch and get recovery point’s front and rear as a minimum. 1. The 3.8L engine get a better response with an accelerator Chip. 2. If doing a lot of off-road or sand driving install an extra cooler for the auto transmission. 3. Before you go off-road give your car a good spray with Inox under the bonnet and on all your bar work, it will be a lot easier to clean when you get home. 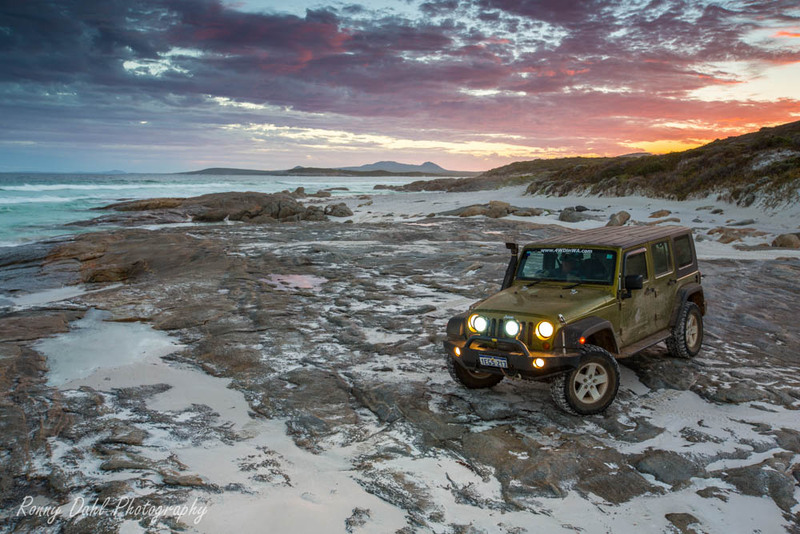 See The Video Of The Jeep Wrangler. 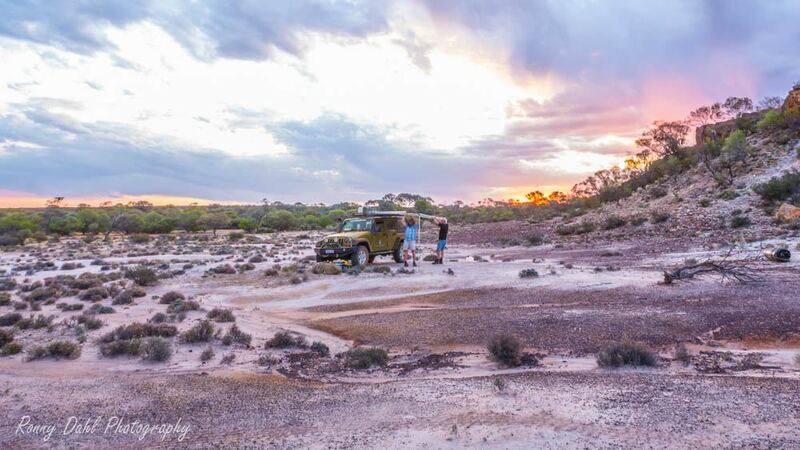 JeepKraft at Wangara, which have helped and worked on Brian’s Jeep is highly recommended by him. 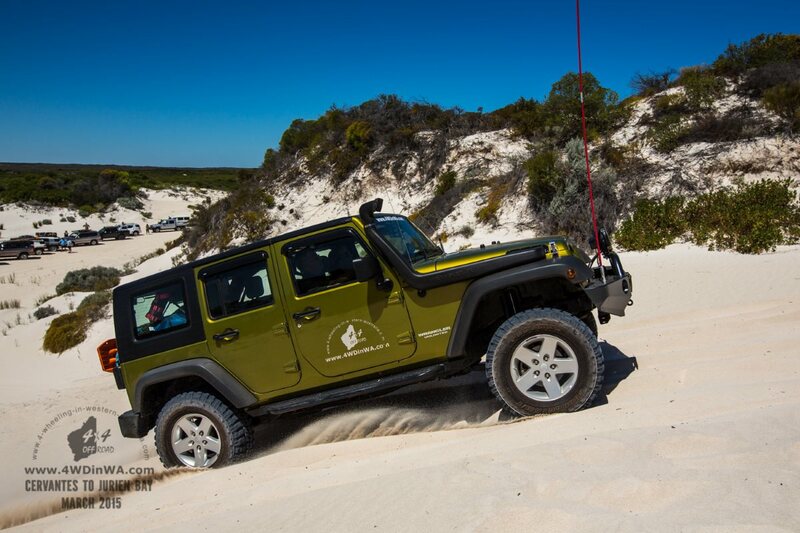 Leave Jeep JK Wrangler And Go 4 Wheeling In Western Australia.